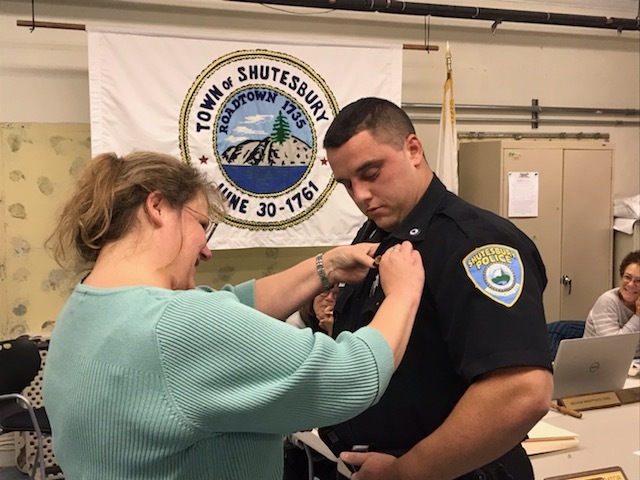 "The Shutesbury Police Department hopes to empower the residents with feelings of confidence and security through PREVENTION and EDUCATION, ultimately enhancing communication and understanding between the community and their Police officers." If the situation is an emergency please call 911. Info from the Massachusetts Department of Fisheries and Wildlife... click here for a .PDF flyer. The Selectboard is pleased to announce the appointment of Officer Daniel Fernandes as Shutesbury’s new Police Chief. The Selectboard is interviewing internal Police Chief candidate, Officer-in-Charge, Dan Fernandes, Wednesday night, September 26, at 7:00pm, at the town hall. The Town of Shutesbury, Massachusetts (population 1,800) located in scenic Franklin County between Amherst and Orange with an annual $6.5M budget, is seeking an experienced leader to serve as Police Chief. The Police Chief is appointed by Selectboard, reports directly to that board and works within town-approved policies and practices. The Chief’s position is a strong chief who is a working chief, patrolling, responding to calls, and fulfilling the administrative duties of the position.